Cherilee Angland’s advisory role sits alongside the daily demands of her clinical work. Dealing with complaints from patients can be challenging. But for practice nurse Cherilee Angland, the process reminds her not to be complacent about care. 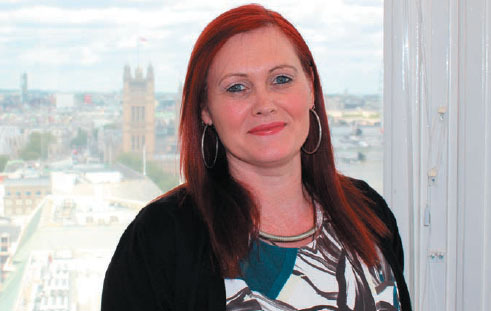 As a clinical adviser for the Parliamentary and Health Service Ombudsman (PHSO), Ms Angland feels strongly about her role because it gives her the opportunity to improve patient care. ‘It reminds me who is important – the patient,’ she says. Commitment to working two to three days a week for PHSO. The PHSO makes final decisions on complaints about the NHS in England, handling cases not resolved locally. In 2014/15, the PHSO completed 4,159 investigations, compared with 2,199 in 2013/14. Some 394 of these involved a complaint about a nurse. When the PHSO upholds a complaint, it recommends remedial action by the organisation involved. This can include an apology, a financial remedy, plans to ensure mistakes are not repeated, staff training and changes to policy and procedures. The organisation’s lay investigators make the final decisions and can seek expert advice from professionals such as Ms Angland, a PHSO clinical adviser since 2010. She says that nurses undertaking this role ‘need to be aware of what is best practice, what standards and guidance healthcare professionals should be adhering to and recognise if they are not and why’. PHSO nurses are expected to analyse evidence from complainants and trusts, and report back to the PHSO’s assessor. The organisation compiles a draft report for comment by both parties before making a final decision. Ms Angland is part of a multidisciplinary team of healthcare professionals dealing with patient complaints. ‘You have to be able to juggle the role with your day job and clinical work, which may involve negotiating with your employer to free up that time,’ she says. Nurses may also need study time to keep up to date with guidance and developments. With this commitment comes rewards, such as helping to ensure better management of falls or nutrition in trusts. There are also personal rewards, says Ms Angland. ‘Being a clinical adviser I am working at best practice level – it reminds me about “little things”, such as introducing myself to the patient – and to smile’.